Justice Minister Louis Sebert will keep his job in cabinet after a vote to oust him was unsuccessful at the Legislative Assembly Wednesday. Justice Minister Louis Sebert will keep his job as minister for the Northwest Territories, after seven members voted for, and 11 against removing him from cabinet at the Legislative Assembly Wednesday. MLA for Tu Nedhé-Wilideh Tom Beaulieu originally planned to introduce the motion to oust Sebert Thursday; it came a day earlier than expected. MLAs Tom Beaulieu, Julie Green, Shane Thompson, Kieron Testart, Kevin O'Reilly, Michael Nadli and Cory Vanthuyne voted to remove Sebert. 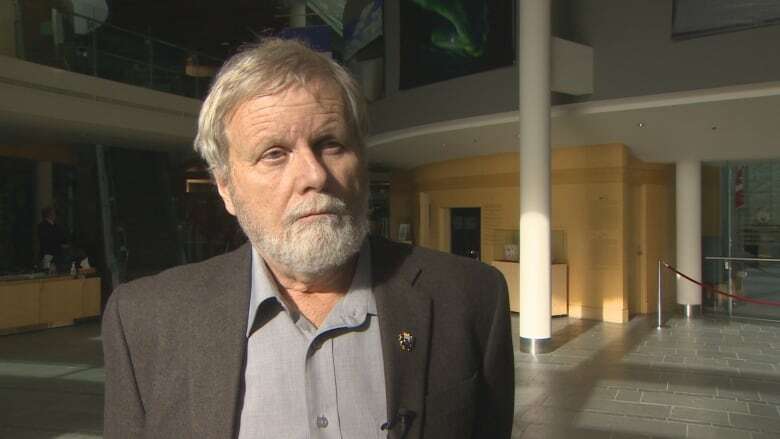 The other four regular MLAs Frederick Blake Jr., R.J. Simpson, Daniel McNeely, Herbert Nakimayak voted alongside cabinet against removing the minister. Beaulieu introduced the motion Wednesday as a response to ministers unanimously stating they would not voluntarily step down from the non-binding confidence vote during the midterm review. During the Oct. 5 midterm review — the first in 20 years — MLAs cast a secret confidence vote on each member of cabinet. Sebert was the only minister to lose the confidence of the House. On Wednesday, contrary to the secret ballot, members of the assembly took turns and publicly declared their support, or opposition to the motion. Even before the official vote, it was clear that Sebert would keep his job. "This is a distressful conversation for the minister, and it is for me as well," said Yellowknife Centre MLA Julie Green, addressing the assembly Wednesday before the vote. "It didn't have to be this way, had the cabinet taken the direction of the non-confidence motion." "I would be the first to admit that I could do a better job as minister," said a composed Sebert to the assembly, following several statements from members criticizing his performance. Sebert continued to say that "all members of both sides of this house share in the government's success and bear responsibility for its failings." "I still think the intention of the midterm review... was the right one," said Sebert. "But I now wonder if putting as much focus on a midterm review as we did meant we as an assembly failed to take advantage of other opportunities."